In today’s workplace, employees use an array of apps to work faster and smarter. 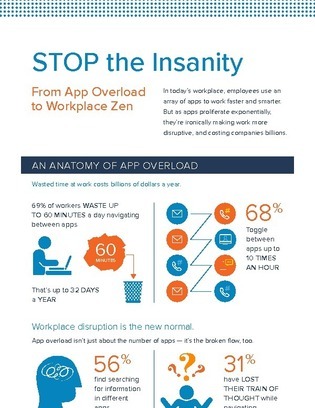 But, 69% of workers waste up to 60 minutes a day navigating between apps. Find out how moving towards a single communications platform can promote workplace zen and increase productivity.